Paris Couture Week featured a special guest this time around, meet Fendi and their fur brigade. 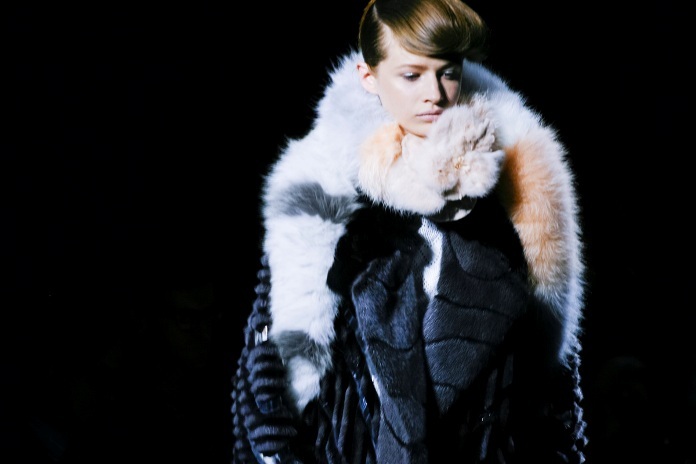 Preceding Fendi’s collection, the New York Times published a great article (here) last week, discussing the current relationship between fashion and the fur industry. The main discovery, was that while natural fur is unwanted and difficult to find in the mass marketplace, it continues to pop up more and more on the high fashion runways. 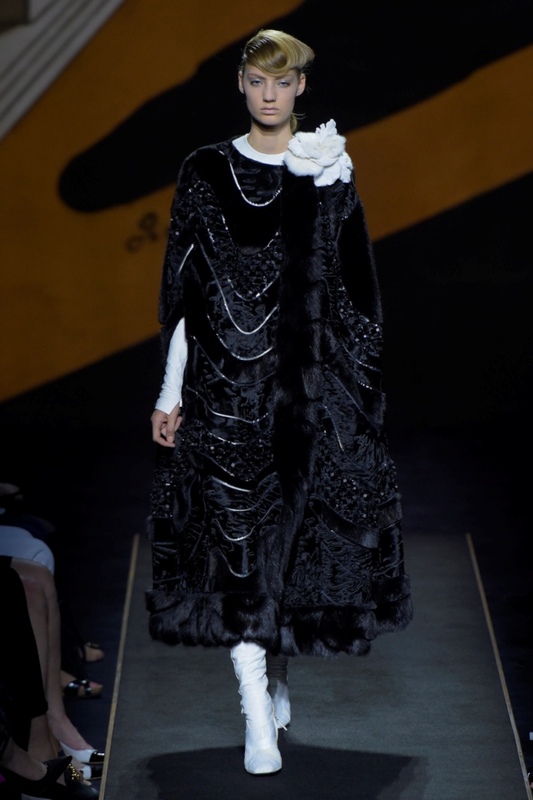 Enter Karl Lagerfeld, a man who is quite open about his love of fur, and his special ‘fur couture’ Fall 2015 Couture collection for Fendi. Fendi, not exactly the first fashion house that comes to mind when we think couture…right? 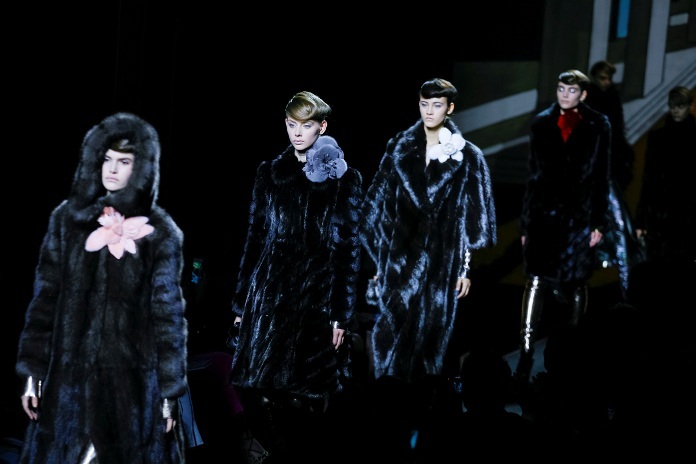 But, Karl and crew whipped together a capsule collection for the Parisian runways, with one common theme: FUR! Fur, fur…and then, more fur. 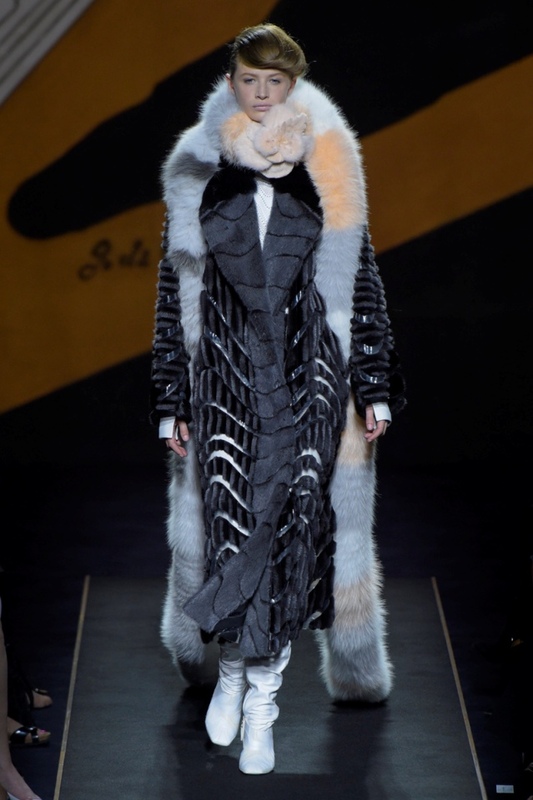 Honestly, I would be remiss if I didn’t take a moment to discuss Fendi’s fur Fall 2015 couture collection. As a vegetarian and champion for animal rights with a platform for discussing fashion, I feel it’s a responsibility to share my thoughts and disappointment. That said, please understand that I’m not trying to condemn Fendi, Karl Lagerfeld or anyone who is a supporter of this collection – my intent is only to discuss it’s fading relevance. One fact I am proud of and will continue to support, is the decline of the fur industry. Do I agree with high fashion for continuing to support the violent, inhumane industry itself? No. Do I think we’re moving in the direction of collections such as this one fading away to (hopefully) nothing? Yes. Do I think Fendi and Karl Lagerfeld are blatantly and ostentatiously featuring fur as they know it’s a hot button issue that will get people talking? Definitely! In general though, I see us witnessing the decline in real fur – and I take that as a victory. Public awareness against the industry has never been so high, and I think we will continue to see fur less and less. It seems to be a generational issue that will fade away in time. After all, the Karl Lagerfelds of the world surely won’t live forever! 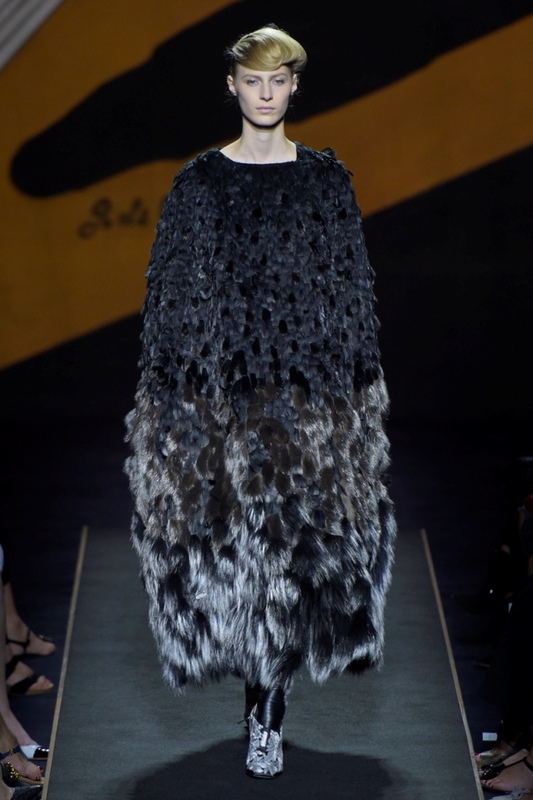 I’m curious though, what do YOU think of Fendi’s Fall 2015 couture collection – with all its fur? Let me know in the comments. Let’s discuss together. Oh, and in case you missed it – definitely do read the New York Times article I mentioned here. Final Grade: On a fashion note, I found the majority of this collection to be quite hideous. 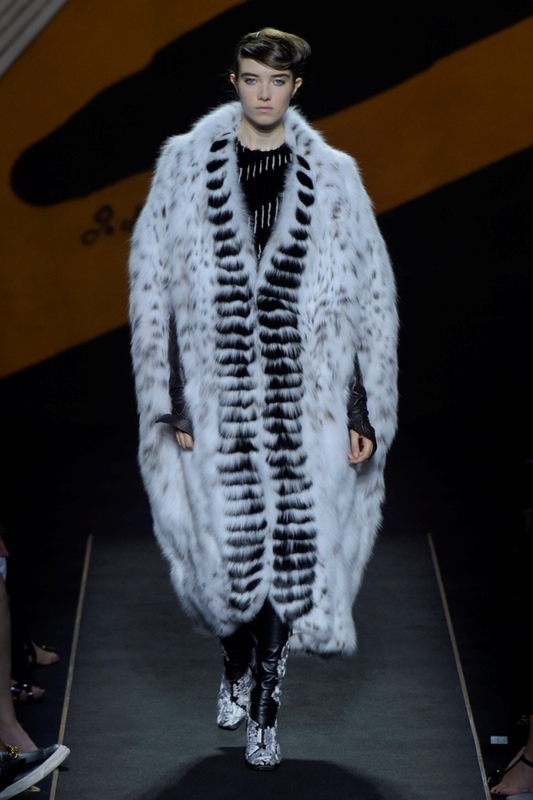 I will concede though, some of the coats are nice — including the look on Lindsey Wixson above, but generally it seemed like shapeless heaps of fur walking down the runway purely to make a statement. I get your statement loud and clear Karl, but I have to give this collection a solid D.
What grade do you give Fendi’s Fall 2015 Couture?